Symbols exist all over the world and each symbol can have more than one meaning. They exist because there is an inherent need to have something tangible to hold on to, even when you feel like there is nothing left for you. 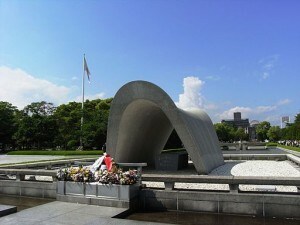 This is a situation Sadako Sasaki found herself in at an early age and to this day she is remembered by victims of war. She is their symbol. As with any story, you can find many versions of her life tale. The most popular version is the one written by Eleanor Coerr. Born in January of 1943, Sadako started out life like many other children. It wasn’t until she was 2 that her life started to change. The bomb that was dropped on Hiroshima during 1945 were in close proximity to her home and she was actually thrown out of her house by the explosion. There were no immediate effects on her, although she did lose her Grandmother. Close to 10 years later she started seeing lumps on her neck and ears. As they soon found out, Sadako had a form of leukemia that was linked to the radiation from the bombing. She never let it get her down though. While hospitalized, she learned from a young boy that if you could make one thousand paper cranes then you would be granted one wish. That, was her symbol of hope. She started creating paper cranes out of anything she could get her hands on. There wasn’t always enough paper for her to use. Unfortunately, she never made it past 700 cranes before she took her last breath. Her friends wanted to carry on her mission so they completed the thousand and then buried them with her. As heartwarming as this story is, it gets better. Sadako’s friends also published her letters as a fundraiser to build a statue and memorial to her and all the children who tragically died from the after effects of the atomic bomb. 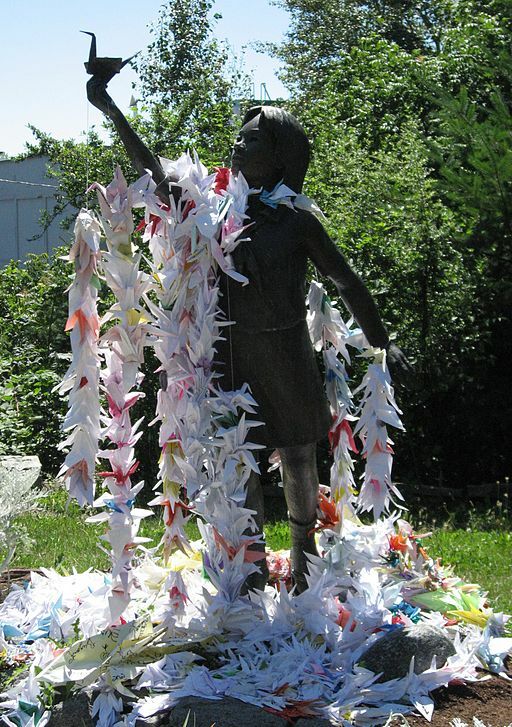 A few of the memorials are the “Paper Cranes and the Children’s Peace Monument” in Hiroshima and the Statue at Seattle Peace Park. 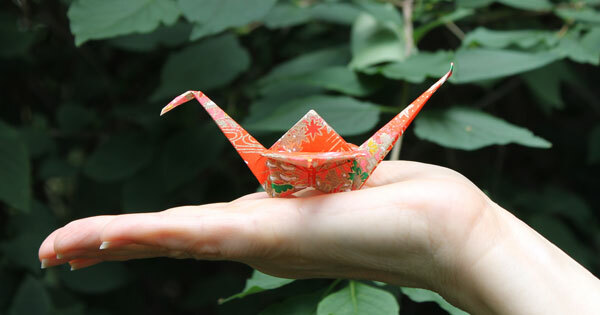 In Japan, thanks to Sadako and her beautiful cranes, August 6th is now celebrated as the annual peace day. Japanese girls picture Sadako as a heroine and there are smaller books for children that help show them the true meaning of this one girl’s strength. ‘Sadako and the Thousand Paper Cranes’ written by Eleanor Coerr is a good book to start with for children. Even at just 12 years old, Sadako Saski has become one of the biggest symbols of peace, especially in times of war or conflict. This is a young girl who never gave up hope for an idea of peace within herself and peace within others. Although we may not have the time to fold 1000 cranes in our busy lives, we can all band together and fold just one each in an effort to show our support for peace around the world. Don’t know how? 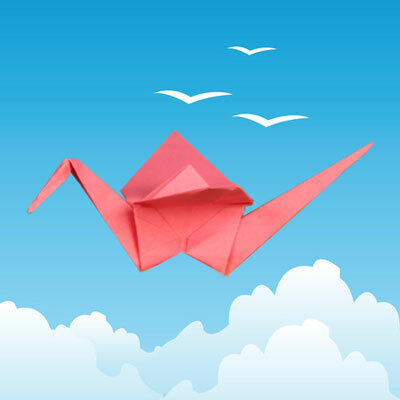 We’ll show you two different forms of cranes for Sadako and for Peace: the traditional origami crane and a crane with flapping wings.